Foxboro Faithful was inspired by the New England Patriots game winning field goal in Super Bowl XXXVI against the St. Louis Rams. 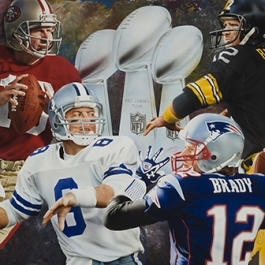 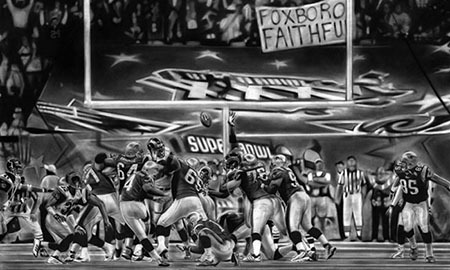 This remembrance depicted in NFL art was the first time a Super Bowl was decided by a score in the game’s final play. 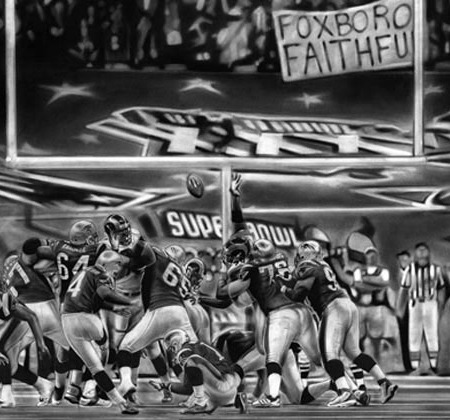 When this NFL painting was done no one knew that Super Bowl XLIX would once again have the Pats winning the game in the last play with only seconds left in the game. 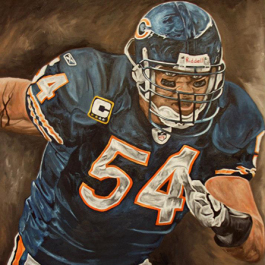 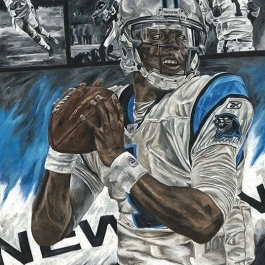 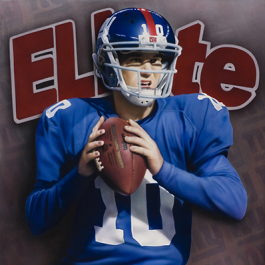 It is a moment in NFL history and is a great addition to any man cave or sports art collector’s favorite piece of NFL memorabilia.